Last Call for CTMH October Specials! It’s the final 2 days to take advantage of CTMH’s October Specials. First, there is the October Stamp of the Month: Christmas Tunes. 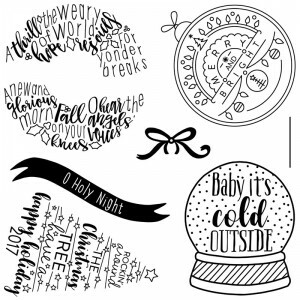 You can get this stamp set for only $5 with a qualifying $50 order. That’s a savings of $12.95! 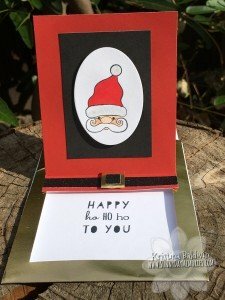 Here’s a cute card created with this set. 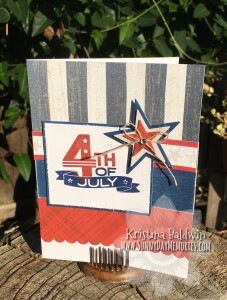 I received this card from Linda C. I like how she incorporated embossing–both wet and dry! Second, we have the awesome card kit in support of Operation Smile. 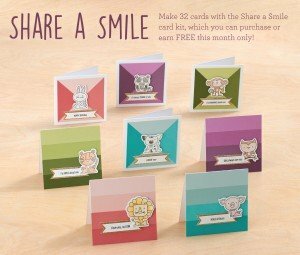 You can purchase the whole Share a Smile Card Kit or the items separately. I highly recommend the Punny Pals Thin Cuts! It’ll be sad to see them go in a few days. It’s super awesome to not have to fussy cut out the darling critters from the Punny Pals Stamp Set! To grab these deals before they are gone, visit my ONLINE CTMH STORE. I’ve been wanting to try out a Recessed Panel Card for some time. My twins’ birthday was this past Friday so I took this opportunity to create 2 different styles of Recessed Panel Cards. 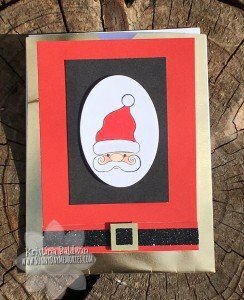 While the same technique, I love how unique each looks just by changing where I created the recessed panel at on the card. For this first one, I did the recessed panel at an angle. 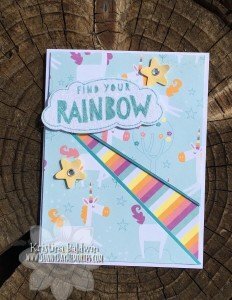 Since my daughter is all about rainbows, unicorns and puffy clouds lately (it’s so on trend, right!?) 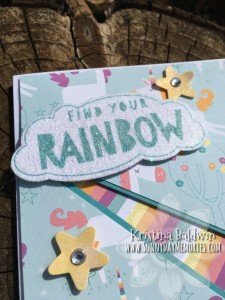 I couldn’t resist using our now retired Little Dreamer Paper Pack as well as coordinating stamp set and die. Plus, it just couldn’t be complete without some shimmer, right? I did a fun technique where I applied a used dryer sheet to the cloud–to give it some added texture–then added some glitter (it gets trapped by the fibers in the dryer sheet.) It looks really awesome in person. And the little stars got a brushing of shine and shimmer from our Clear Shimmer Brush. 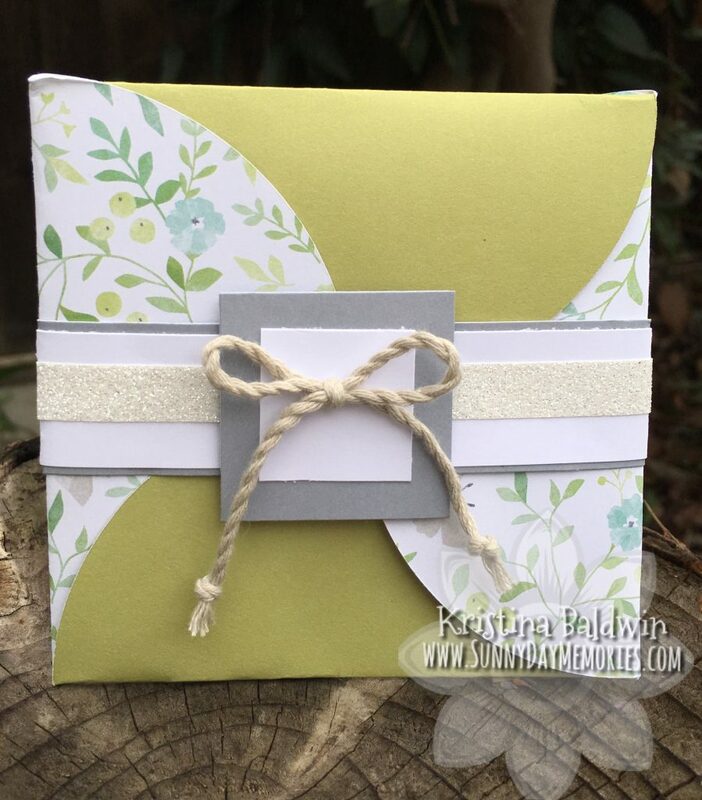 For my son’s card, I also used a retired paper pack–our Back Country Paper Pack. He’s into the outdoors, camping and trees (those which he can climb are of the most interest!) so I thought this paper pack worked best. 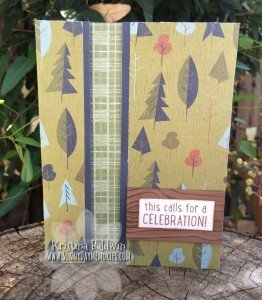 Plus, since I was using the tree patterned paper, I felt have a straight recessed panel worked best–sort of like a tree trunk. Since I had added in a fun technique to my daughter’s card, I felt I should do the same for my son’s. I decided to stamp a pine tree branch and a pinecone on the inside of his card. For the pine cone, I started by inking up the image in Chocolate ink (I’m so sad this color is now retired; love this color!) 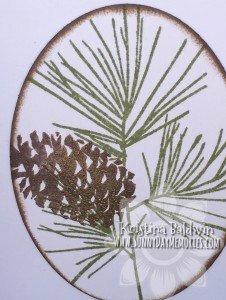 then I took a new Sponge Dauber (you don’t want any color to transfer with this process) and tapped it in my Versamark ink pad and randomly tapped spots already inked on the pine cone image, then stamped as usual. I sprinkled some Gold Embossing Powder over the image and where the Versamark ink was, it stuck. I heat embossed it with our Craft Heater to have a beautiful look with splatters of gold on the pine cone. Easy and stunning. 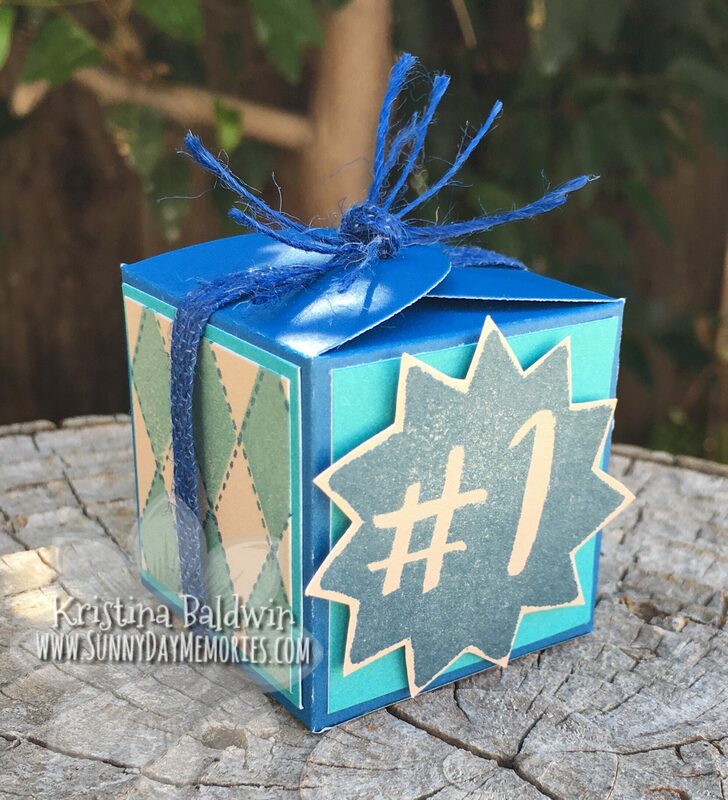 To get your own supplies to try out these techniques, visit my ONLINE CTMH STORE. 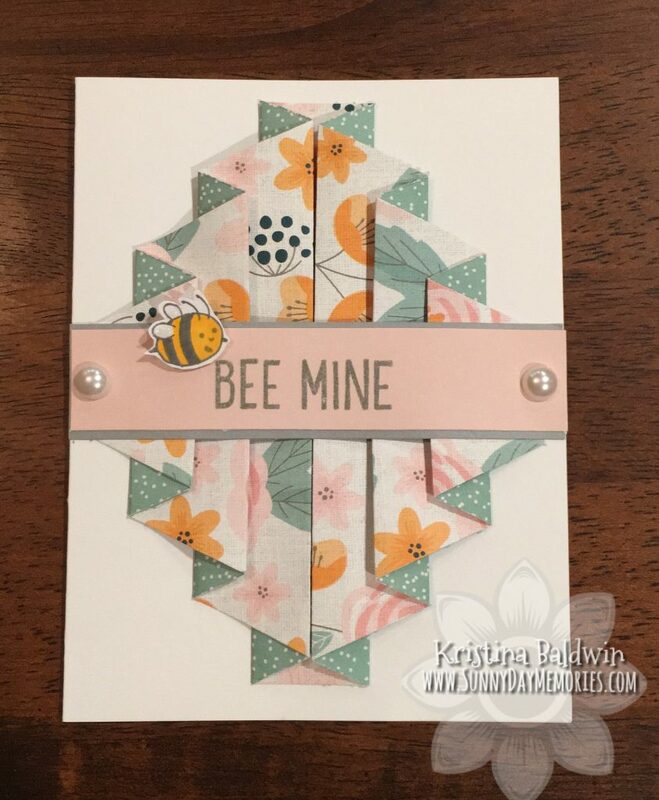 Today on Close To My Heart’s blog, they talked about how the National Stamping Month Special–From the Heart–is designed to be versatile and let you be the artist. 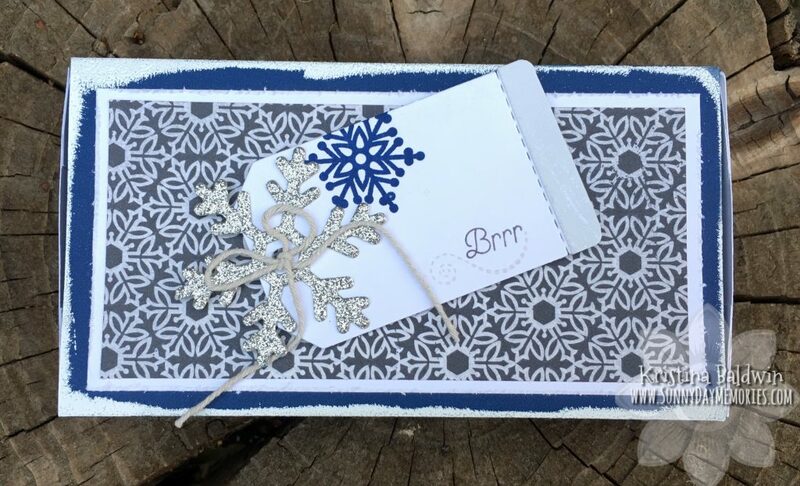 While the From the Heart Stamp Set is definitely a beautiful set–and one which you would use over and over again–these cards can make some pretty amazing holiday cards, too! 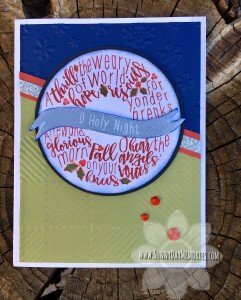 Here is my spin on these beautiful From the Heart Slider Cards using the *NEW* Little Saint Nick Stamp Set along with the *NEW* Ho, Ho, Ho Stamp. I absolutely love the Little Saint Nick image. 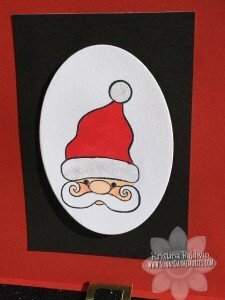 You may recall I used him in a Circle Accordion Card I shared a few weeks ago. He’s so cute and easy to and color. I used our ShinHan Markers in Barely Beige, Tender Pink and Carmine. And of course, I couldn’t resist using our Clear Shimmer Brush on his hat trim for a little shine and sparkle! 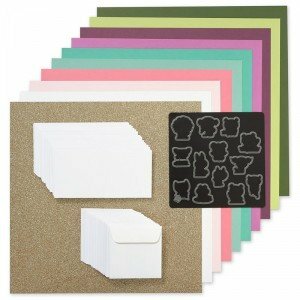 To purchase your own From the Heart Card Kit or any other CTMH products, please visit my ONLINE CTMH STORE. 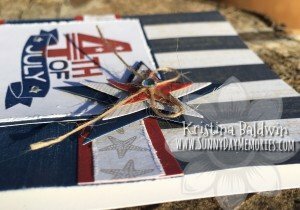 In celebration of today, I wanted to share this 4th of July card I created. 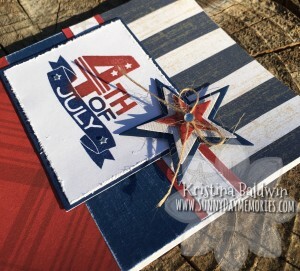 I combined patterned papers from CTMH’s No Worries and Jack Paper Collections and used the Fourth of July Stamp. I hope you enjoy your 4th of July!